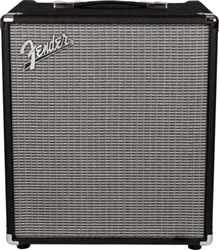 Versatile size with plenty of RUMBLE tone. The RUMBLE Series is a mighty leap forward in the evolution of portable bass amps. 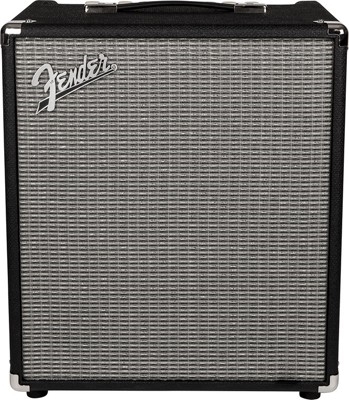 The RUMBLE 100W 1x12" bass combo is an ideal choice for practice, studio or rehearsal, with its great tone and easy-to-use controls. Features include an aux. input, XLR line out, FX loop and three-band EQ. Re-engineered from the ground up, RUMBLE amps are lighter and louder than ever, with even more power and a classic Fender vibe. A newly developed foot-switchable overdrive circuit, versatile three-button voicing palette and upgraded Eminence speaker, deliver powerful tones ideal for any gig. Dimensions: 18.5" x 16.5" x 14"